Latest creations from the bead factory! I've been rather busy since that delivery, making up some adult bracelets, using knotted silk and also a lovely strong elasticated beading thread, which eliminates the need for a clasp. Amber is great for adults as well as children, so if you suffer with any kind of inflammatory condition or pain, it can be of help. 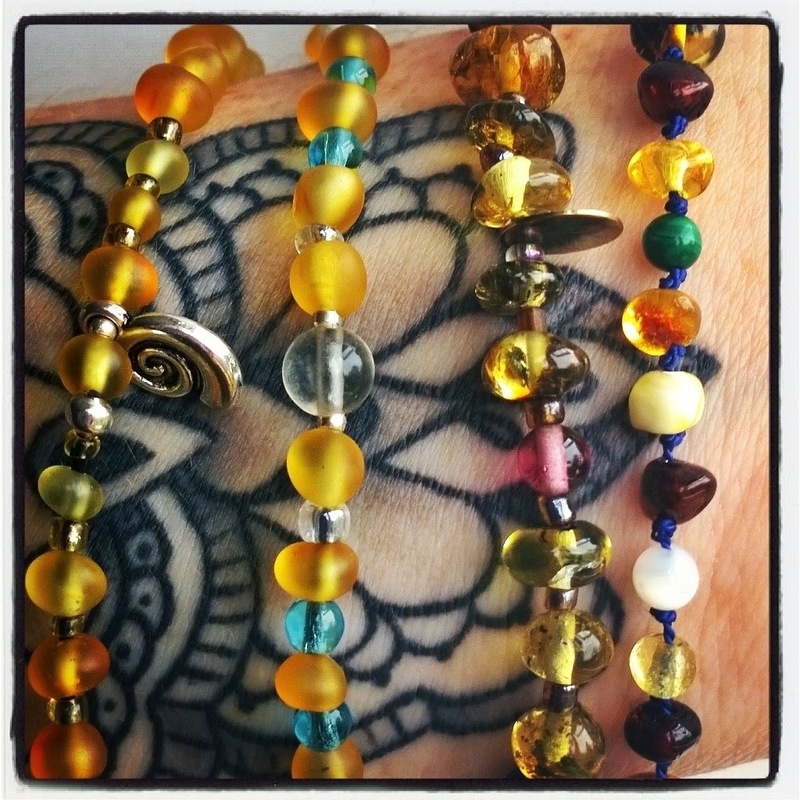 I've threaded these bracelets with seed beads, and a variety of glass beads and gemstones too. The big clear bead in the centre of the picture is fluorite. This gemstone comes in greeny purply tones as well, both clear and slightly opaque, and is thought to help with painful conditions, as well helping with anxiety and letting go. Check out the shop here !